January 22, 2015 Usually at a court hearing, there is a definite winner and a definite loser. Rarely does everyone walk away better off than when they started. 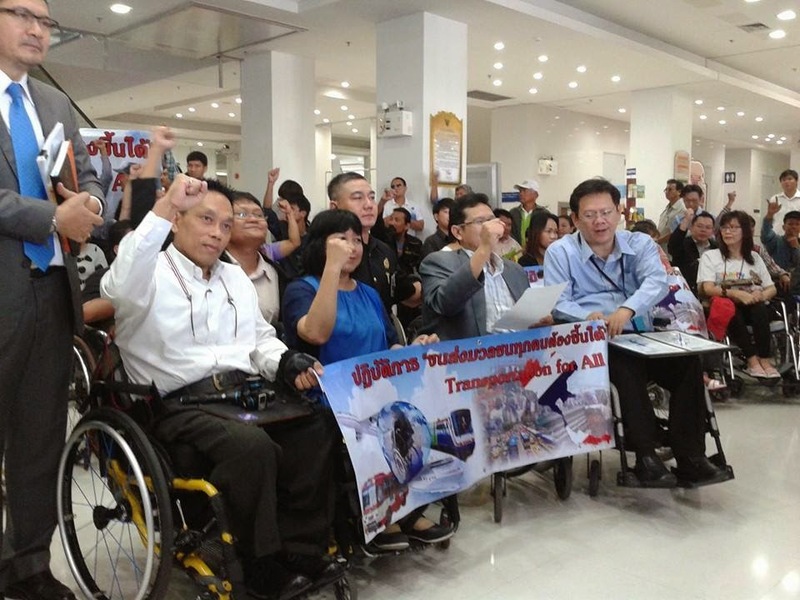 But just such a rare case has occurred in Bangkok, Thailand where a dedicate group of activists fighting for better accessibility for the handicapped won a court decision that will see additional lifts constructed across Bangkok's elevated train system known as the BTS Skytrain. When the BTS was constructed many years ago, there was an oversight that left many stations without any lifts at all, and many more with just one or two lifts despite multiple entrances and exits on different sides of busy streets and intersections. 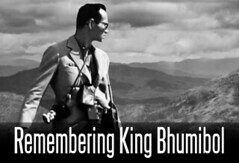 For years Thailand's handicapped and visitors from around the world would have to brave impassable traffic or haul their wheelchairs up flights of stairs or balance precariously on escalators -- all very difficult even with the help of station staff. Not only did this pose an extra challenge for people already at a disadvantage, it reflected poorly both on Thailand's mass transportation system and Thailand's attitude toward the handicapped and issues of accessibility in general. For the BTS, in the wake of this week's decision, this will no longer be the case. 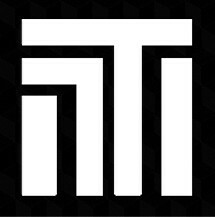 The court decision has untied the hands of BTS executives restricted by budgetary and other constraints, and will allow them to join a thankfully growing club around the world that takes accessibility seriously. 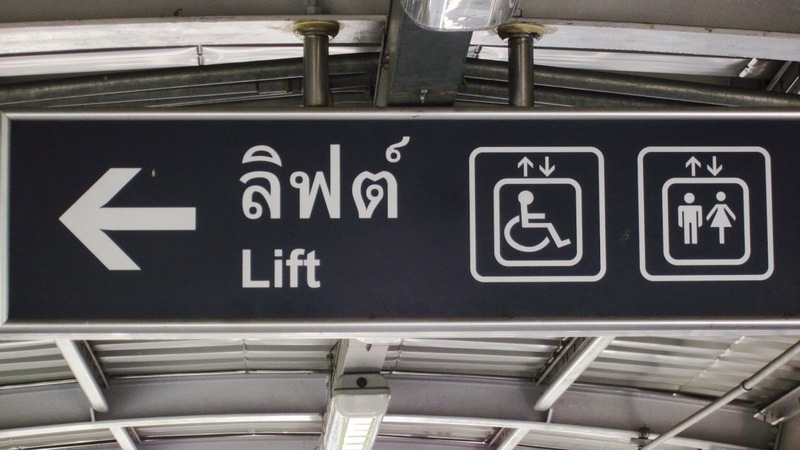 Not only does full accessibility make a difference in the lives of those confined to wheelchairs or otherwise disabled, it reflects well upon the humanity of those maintaining essential public infrastructure like Bangkok's Skytrain. The addition of extra lifts at all BTS stations provides value-added both quite literally to the overall system, but also in a social and political dimension. Bangkok will rise among global public perception as a fully modernized city dedicated to the needs of all -- a positive signal to residents, tourists, and businesses both domestic and from abroad alike. We look forward to the construction of these additional lifts, and as each one begins carrying those in need upward, so too will they carry Bangkok as a city upward with them.